Different diet plans which are on the hype these days due to some celebrities are often known as Fad Diets which have a set of complex rules and restrictions. 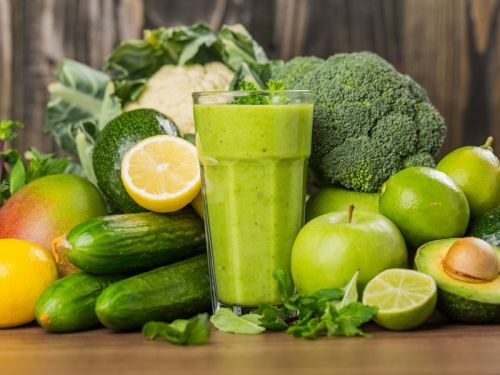 Some people think they are some sort of scientifically tested and proven diet system, but in reality, it only emphasis on you to erase huge food groups from your daily consumption. A person who has cut out entire food groups can surely lose weight, but there’s a con, it’s short-term. Weight loss is useless without weight management, which most users failed to achieve. We are providing you 10 keys to healthy weight loss which are 100% evidence-based. Granted that it’s hard to carry each of them in your daily lifestyle, but a gradual input of these norms can lead to long-term and successful weight loss. You can even practice a single step throughout the week considering you have enough time to manage. These are not the dieting techniques nor are you demanded to restrict any food group, it’s a weight control plan. Means addition of green vegetables, fruits, legumes, and grains in your diet and say bye to the sugary foods and Trans fats. One can add fish or other dairy food which have a low-fat quantity, other than this 30 grams of fibers through plant food should be in your diet. Fibers keep the feeling of hunger aside and slowly maintains the carbohydrate absorption. The best way to fill your half plate with leafy vegetables and legumes whereas 20% of the plate should contain meat or protein based diet. 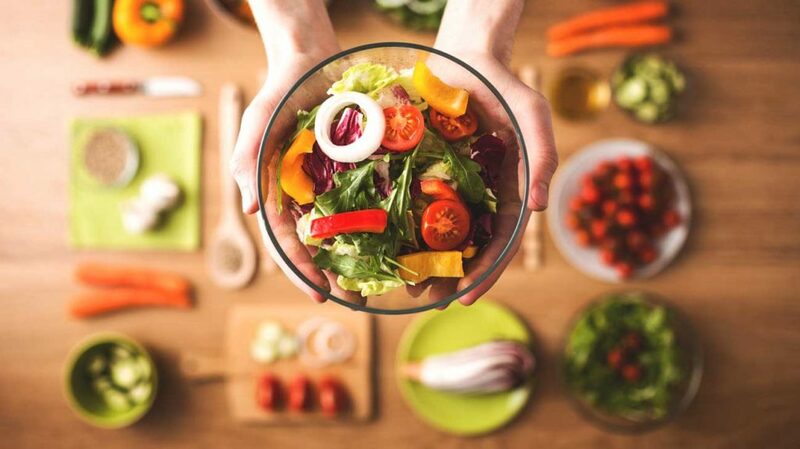 Excessive consumption of green vegetables is allowed but when it comes to high-calorie food, portion control is the thing you need to keep in mind. Portion control means you have to consume small packages of protein-enriched diets instead of the large or extra-large packs. 100 calorie food packages are quite popular which can help you with this controlling thing, not if you eat multiple small packages at once. That means you don’t have to eat the food you want, but eat what your body needs. The better way is self-awareness about which food is good and which are bad. 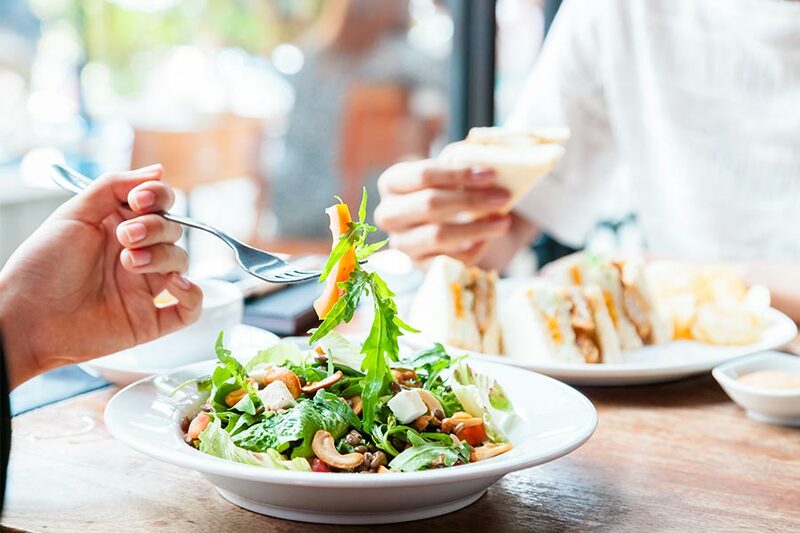 Smart eating also implies on eating with full attention without engaging in other things like watching TV, doing an assignment, or even excessive chatting. You need to focus on each bite, chew it more than 10 times and don’t get distracted. 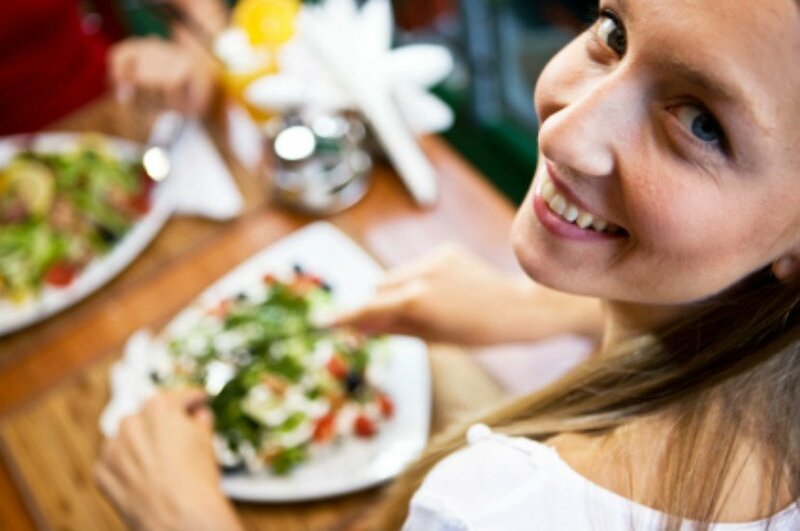 When you enjoy your food, chances of getting full sooner increases, researcher says. In this way, you can take control of your overeating habits. As mentioned earlier, eating slowly is very much beneficial to the health which also allows slow eater to consume fewer calories. Chewing breaks the food in your mouth so it can digest itself easily after reaching the gut, extra chewing can help food release full nutrients in the gut which makes a person eat lesser than normal. 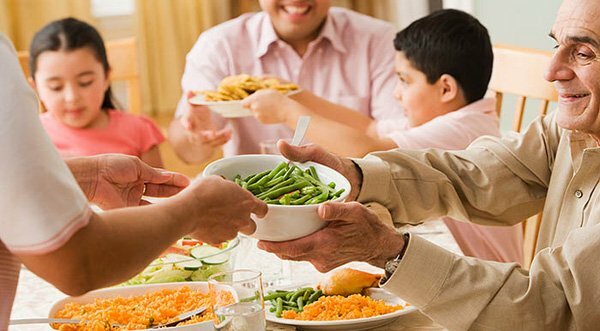 Food-indulgence can be perfect if you are a slow eater, while people who eat fast, they ignore the very basic fact of eating which is to enjoy it. There are many apps and devices available which monitors per bite you take and vibrate if you take a longer pause during each bite. Telling yourself, you are going to get a grip on eating habits, instead of control your food environment. Sometimes when the extra food is available, it makes you fill your plate more than you could eat. You can also stop having junk food at your home or sugary drinks in the refrigerator that causes temptation to your senses. Using a small-sized cup, plate or bowls can limit your diet intake which comes under portion control. Unless you control the food environment around you, you cannot grasp over your food temptation. Will power controls you for a short time period, but in case of having the continuous eating opportunity, it will somehow end with a big bite in your mouth. Identify the factors which make you eat more, for example, some people eat excessively when they are stressed out, lonely, angry, depressed or excited. A healthy tip for ideal eating habit is to eat when you are at level 3 out of 10 of hunger and stops at level 7 where there’s still a room for some more foods. If you see yourself eating while you are surrounded by situations rather than being hungry, know that you need other activities such as jogging, walk or exercise. Food items which contain a low amount of energy, but are large in volume can quench your hunger more likely than having a high-calorie diet. This idea was generated from the Volumetric eating plan designed by Barbara Rolls who recommended low energy density foods with large water and fiber intake as compared to cheesy and oily edibles. Adding vegetables and soup before having pasta or high-calorie diet to increase satiety. Add these things to the normal diet of yours. Fresh fruits rather than the dried ones. Protein helps you feel fuller in a better way than Carb does. Protein is a source of lean protein which improves muscle growth in malnourished people or those who are going through weight loss. Ideal source of protein is white meat, legumes, beans, fish, and nuts. Some of us consume protein in one mealtime i.e. dinner but that is not how it is done. Many research says that circulating your protein intake throughout every meal of the day can help you lose weight and is the good treatment for the cardiovascular patients. Many American health journals encourage protein consumption approximately 25 grams in each meal, that is proven is suppress appetite in normal individuals. Kidney patients should not consume the excess amount of protein but they should limit their protein diet from 3 to 1 time per day. Skipping meals makes you eat later, which is why you should make a meal timing that fits best for you. Eating between meals sometimes feels necessary to which one must consume mini snacks (with 150-200 calories) like a small pack of yogurts, a slice of cheese, carrot, banana, a spoon of peanut butter or even any high protein diet in a minute quantity. Sometimes snacks replace your meals which is an unhealthy practice that needs to be stopped. If you are hoping to lose weight, eat snacks if you feel lightheaded or dizzy due to hunger. 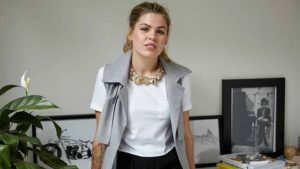 People who maintain a record of their diet on a daily basis lose more weight than the others, Journal of the Academy of Nutrition and Dietetics quoted. You can take notes on your mobile phone, laptop, or in a notebook, it doesn’t matter, as long as you are performing honest input of your whole day diet. This will help you see the pattern you are running on and allow you to modify your eating habits to battle against weight gain. Some people cannot wait for such a long time to lose weight and sees for extra hand such as a weight loss supplement. 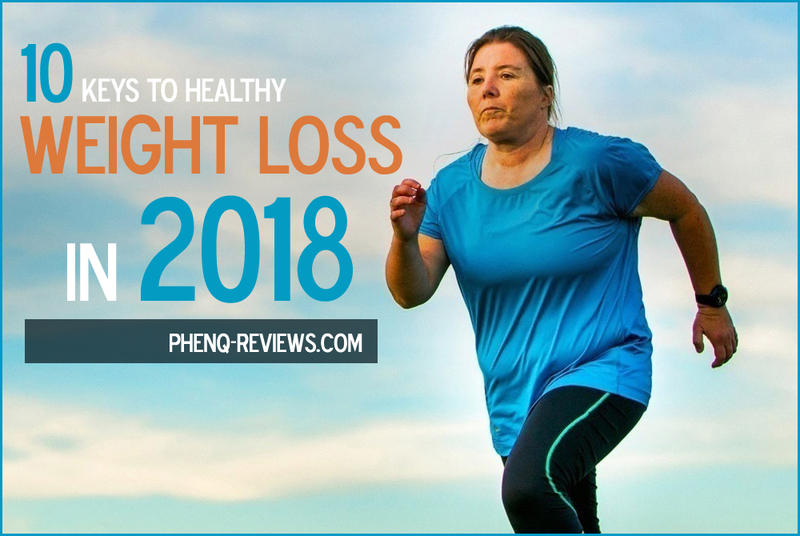 Weight loss supplements are available in every corner these days, especially online where you get hundreds of ads for different weight loss pills. 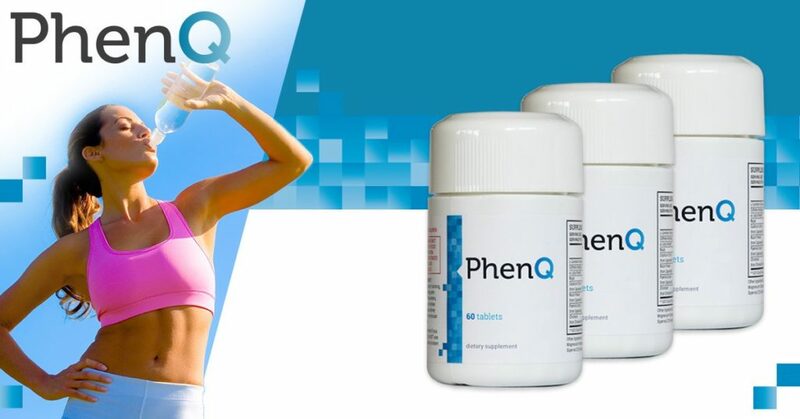 The majority of these do not work, but if you ask for the honest opinion, which can assist you in the weight loss journey, we can suggest PhenQ, which is best phentermine alternative online! Not to mention the use of these supplements is highly contraindicated for cardiovascular patients having a history of cardiovascular events. By incorporating these 10 keys in your daily life, you can manage your weight and eventually achieve a successful weight loss goal in a complete safer way.